Professional service: All musicians are classically trained and have years of performing experience. Wide variety of repertoire including classical, light jazz, modern, & popular music. Collaborative & actively involved music coordinator. A reliable team = stress-free wedding music! Streamlined & convenient booking process. Pascal began performing music for weddings 8 years ago & he oversees each performance by the Viola Dolce ensemble. 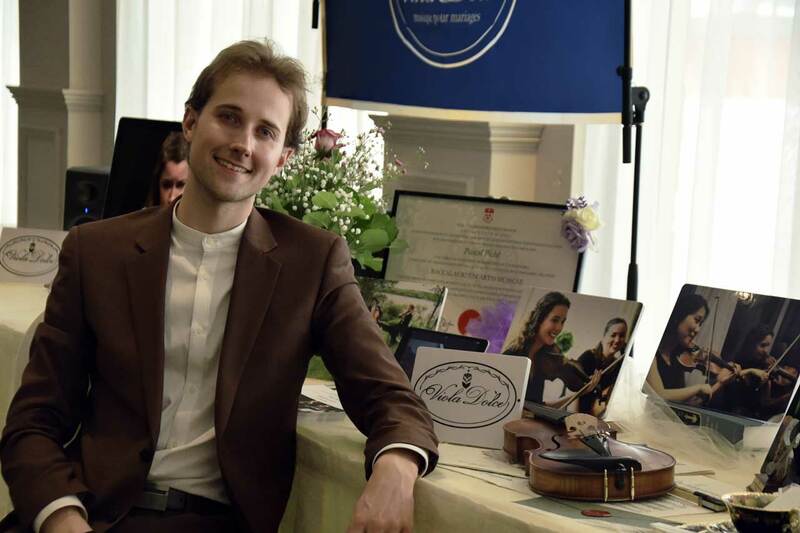 Passionate about music & event planning, Pascal brings together a team of professional musicians: all of whom have years of performing experience & credentials from a university level music program. Pascal’s musical background includes performing in many chamber music groups & orchestras (such as the Okanagan Symphony Orchestra & the McGill Symphony Orchestra). He has experience performing a variety of styles including baroque, classical, contemporary, film, & popular music. He holds a bachelor of music degree from McGill University. The beautiful corner-less viola that Pascal performs with was crafted by luthier John Newton. “Pascal was an absolute thrill to work with, from beginning to end. He was extremely professional, pleasant and timely in his responses. We communicated via phone and email, and met him in person to choose the music for our wedding ceremony. Pascal was very helpful, attentive to our needs, and even offered up a list of songs to help guide us, and could play any song we wanted, providing that we give advance notice. Ready to plan your wedding music?